Individuals looking to purchase a horse lorry or trailer are being warned to be on the lookout for scammers after an increase in recent reports to Horse & Hound. 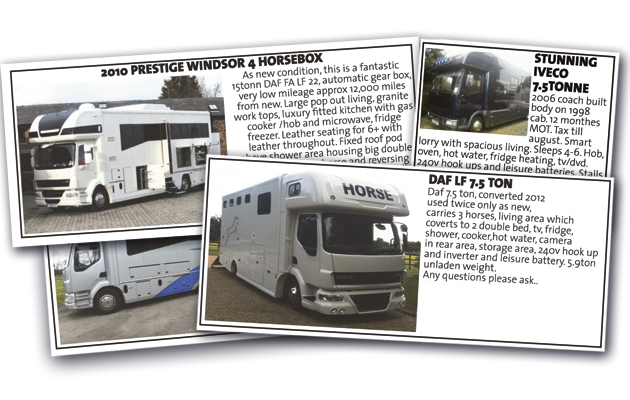 Typically the horse lorry or trailer is advertised online at slightly below market value, although this is not always the case. When the individual contacts the seller, he or she claims that the vehicle is not available to view in person because they are travelling abroad or because they are a member of the armed forces who cannot currently leave barracks (Edinburgh is a favourite location) or that there has been a recent death in the family. The buyer is asked to pay for the item through an ‘Amazon holding account’ or similar and told that the seller will organise for the lorry or trailer to be delivered while the money remains in the holding account. Then if the buyer isn’t happy with the vehicle, they can return it and get a full refund. The buyer may receive a very authentic looking invoice branded ‘Amazon payments’ mentioning escrow, but this is all part of the elaborate scam, which has been running in various guises for a number of years. Amazon states on its internet scams and phishing page: “DO NOT send money…. Click here to read the full story at Horse & Hound…..